Everyone has a story to tell and Fifth Freedom would like to record your story. Stop by the “Tell Your Story” Tent to share your proudest achievements, lessons learned or the happiest moment of your life. Your personal story, told in your own voice, will be captured and shared along with others to inspire the community and advocate for those with disabilities. Register to tell your story here. Turnstone’s adaptive sports and recreation program is recognized as a Gold Level Paralympic Sports Club and is one of the largest in the country. Competitive and recreational sport options available at Turnstone include wheelchair basketball, quad rugby, sitting volleyball, power soccer, sled hockey, tennis and more! The following activities are from 2018, 2019 activities are coming soon. Joy Wegener coaches Stand Up Tennis at the Northwest YMCA in Muncie, Indiana. She also started Wheelchair Tennis at the Y, and was tournament director of the McCann Memorial Wheelchair Open for five years. Joy has played USTA tournaments and leagues and has been an IHSAA Assistant Tennis Coach. Her husband, Jim, is the Head Pro at the Northwest Y. Troy Lawrence, born and raised in Australia, moved to the United States in March 1999. On Nov 13, 2014, Troy had elective surgery to become a below the knee amputee. Since that time Troy has remained active, completing the 2016 Indiana Spartan Race and falling in love with the sport of tennis in 2017. For those with intellectual or developmental disabilities. Coach Cindy Heidkamp, USPTA, has been involved with Special Olympics Team Illinois Tennis for 3 years. She trains and coaches the group at Homewood- Flossmoor Racquet & Fitness Club (HFRFC) on a weekly basis. HFRFC athletes play at some of the highest levels and have earned many medals and sportsmanship awards. Accompanying Coach Cindy includes HFRFC tennis players: Matt Boerema, Nick Brozek, Kevin Curran, Justin McMillan, & Ellen Sanderson. For those with a physical disability who use a wheelchair or have limited mobility to stand. Lynn Bender is both a Certified Recreational Therapist and a USPTA certified tennis teaching professional. She is actively involved in the USTA and is a member of the USTA National committee growing wheelchair tennis from the grassroots level. Jaime Oppenlander played collegiate tennis and serves as co-chair of the Diversity Committee for the USTA Midwest Association. Accompanying Coach Lynn and Jaime includes Turnstone athletes: James Ezell, Randy Outman, Victoria Gross and Kevin Hughes. Experience art in its various forms, styles and subject matter. 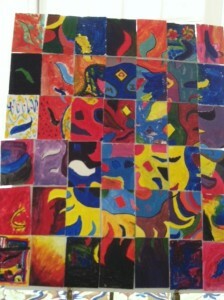 It is all on display to showcase the artistic talents of individuals with disabilities in northeast Indiana. Many pieces are for sale so you can continue appreciating the artist and the art at home or in your office. Don’t miss this opportunity to enjoy and shop these wonderful, artistic creations. If you would like to submit art for the exhibit, complete and return the submission form. It is said that pictures speak 1,000 words. These images not only speak, they create emotion. The people in these exhibit photos show that individuals living with disabilities are strong, confident, successful and, most of all, happy. Portraits of individuals with disabilities, photographed by University of Saint Francis visual arts students, will capture Expo-goers’ hearts and provide a glimpse into what makes the subject matter special. We express our thanks and appreciation to Professor Cara Wade and the visual arts students for capturing these images. Entering or reentering the job market is made easier with the help of experts in employment services knowledgeable about hiring individuals with disabilities. At the Expo, one-on-one counseling is available for job readiness, resumé writing, interviewing and job searches. 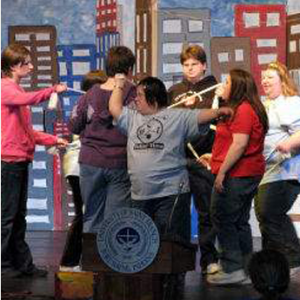 The disAbilities Expo is proud to showcase the theatrical, musical, and creative talents of individuals with disabilities. Each year, these performances put their abilities on center stage, upstaging their disabilities. This year, we have One Heart Bells and Voices Choir and Friends in Focus A Capella Singers performing. The Jesters return to the stage once again along with Premiere Dance Company’s Soul Brothers & Soul Sisters, and the Dazzlers will cheer you on for a great day of fun as you gather information on new products and services. 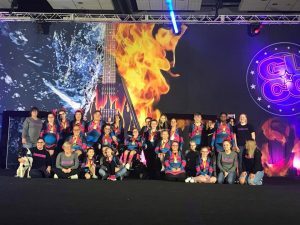 Each year, the Expo stage is pleased to welcome the region’s largest and longest-running theatrical troupe of individuals with special needs, the Jesters. 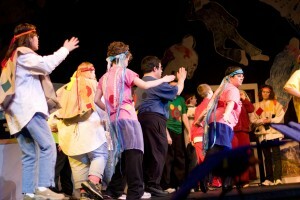 A program of the University of Saint Francis School of Creative Arts, the Jesters provides an important creative and social venue for individuals with intellectual disabilities. Music, dance, theater, and puppets are incorporated into their inspiring productions featuring extraordinarily talented actors. Let them entertain you! 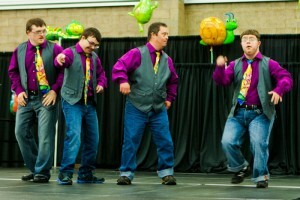 Known as The Soul Brothers, David Miller, Austin Hamman, Michael Peoples, David Lash, Griffin Tutwiler, Elijah Eguia, Kyle Miller and William Alvarez are the area’s best loved special needs dance group. Their rousing renditions of fan favorites like Kung Fu Fighting will have you dancing in the aisles – they rock! Not to be outdone by the boys, the girls of Premiere Dance Studio’s special needs program kick up their heels and show off their moves to the music of Best Summer Ever. Dancers Addison Merical, Kristy Meeks, Lydia Mihuc, Julia Ping, Summer Goodwin, Mia Welker and Megan Locke bring cool moves to great music. The Whitley County Dazzlers Cheerleading Squad is in their 7th season with nearly 30 team members. This year the team performed in Orlando and spent a day at Disney enjoying each other. It’s fun and friendship with a little exercise thrown in for a great show of spirit. Comprised of 5 members ranging from 53 to 87 years of age that are blind and visually impaired, the chorus is now in their seventh year of entertaining the community. With more than 20 singing engagements during 2016 alone, they have performed at a TinCaps game, numerous nurse homes and assisted living facilities and welcomed home WWII Honor Flight participants. This lively and upbeat group is a joy to behold. 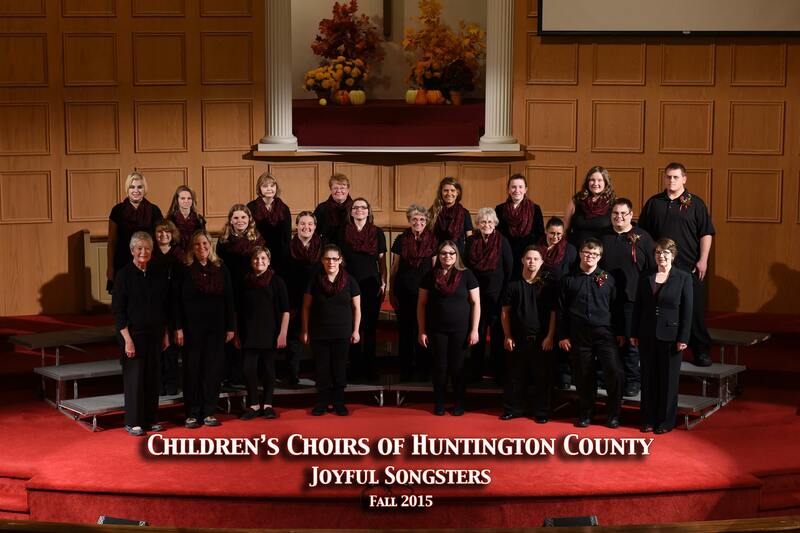 Joyful Songsters is a community choir open to all teens and adults with no audition required. 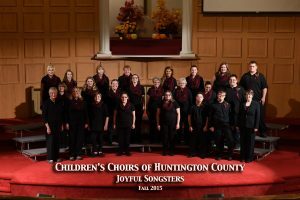 The program is designed to provide an integrated choral experience for individuals with disabilities, senior citizens, and other teens and adults living in Huntington County. Choir members promote a sense of community involvement within their group and throughout the community while participating in high quality music learning and performance. Participation in the choir is free and they are currently accepting new singers with and without disabilities. The Musical Buddies, under the direction of Heather Palmer, is our young adults choir that is open to our clients. Our choir not only provides them with the opportunity to work on social skills with their friends but also the benefit of advocating for themselves and showing our community that they can do anything they put their mind to. They have performed at Sweetwater, the ASI Autism Acceptance Walk, the 2017 disAbilities Expo, the IPFW Autism Celebration, and nursing homes throughout the area to name a few. The Musical Buddies are honored to be asked to perform on WBOI’s Meet the Music program this summer!